We were delighted to be asked by Dr Kathryn Lloyd Thomas to design a new website incorporating her existing logo. 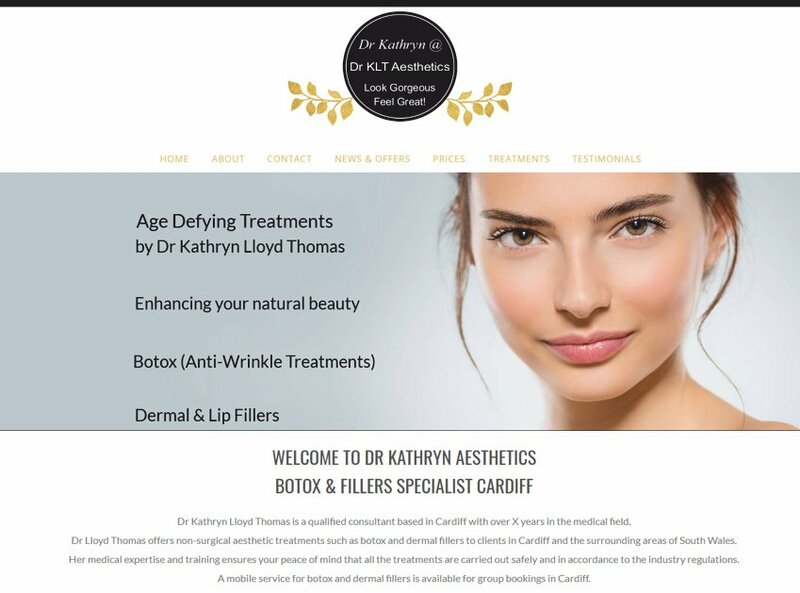 Dr Kathryn Aesthetics specialises in providing botox and fillers to customers from her clinic in Roath Lake, Cardiff. The aim was to create a contemporary look for the website using her chosen colours of black and gold.